Decorative cover for your empty 2" receiver hitch. Four inch plate is made of solid cast aluminum, baked on black enamel background, with a clear coat for a durable and long lasting finish. Four inch sleeve slides into your hitch and locks in place with a standard hitch pin. 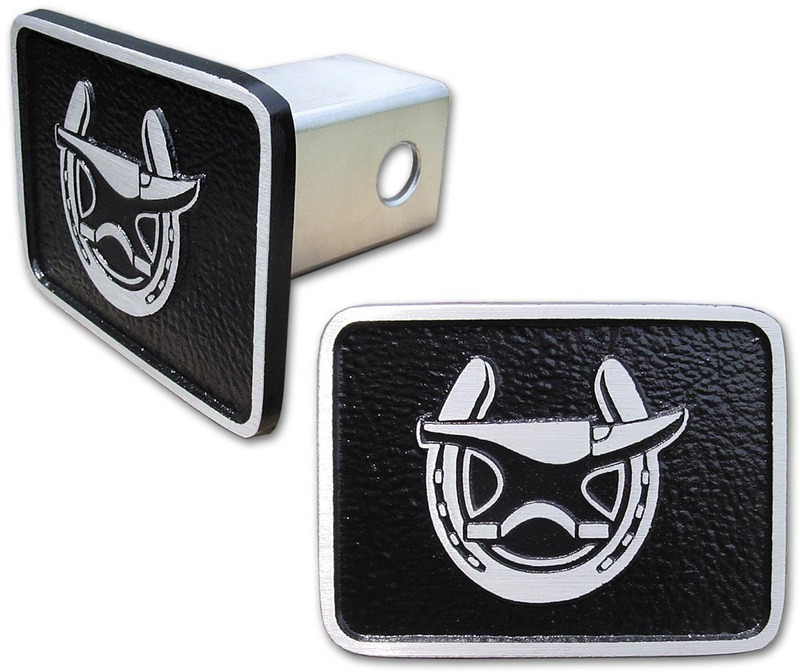 Made by the same company that makes our license plates - the quality on these is superb.